Published Articles: What about organ transplants? The subject of human organs has been in the news recently, following revelations about happenings at Alder Hey hospital. * How well thought through are we on the topic? The following brief discussion has been prepared mainly in the light of various articles available on the world-wide web. Medical practitioners are keen to get their hands on human organs both for medical research and organ transplants. Transplantation involves taking a section of tissue or a complete organ from its original site and transferring it to another. The term (like ‘graft’) is from the world of horticulture. Transplants are most often from one individual to another (allograft). Xenotransplantation involves transplanting organs from one species to another, eg from pigs to humans. Transplanting of foetal-tissual, except perhaps where spontaneous abortion has occurred, is abhorrent to most evangelical Christians. Since the first transplant in 1954 such surgery has become ever more widespread and increasingly successful, especially since the advent of good immuno-suppressive drugs. It is now possible to transplant some 25 organs and tissues, including corneas, heart, lungs, liver, kidneys, pancreas, skin, bone and cartilage, and more. 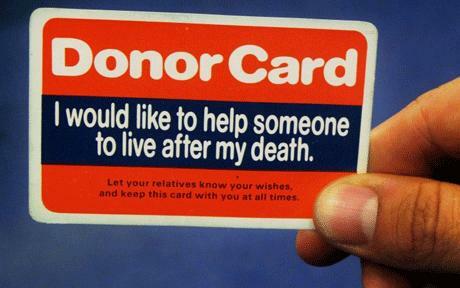 A single donor may help as many as 60 recipients. However, while waiting lists for organ donation are continually high, the number of donors is low. Most transplants are cadaveric. In some cases, however, live transplant is possible (eg a kidney). Results with organs from live donors are slightly better than cadaveric ones. All operations involve some risk to life and so only in exceptional circumstances can such an operation be justified. Kant called it partial suicide but it is better to speak of how anatomical integrity is lost but functional integrity remains. This is why most would see live donation of a kidney (or blood or bone marrow) as acceptable but of a cornea as unacceptable. Provided no undue pressure is placed on a person to make a live donation and provided he is able to act in a fully informed way surely there can be no objection to the practice. However, if the living donor is not a blood relative (as British law requires) in a stable relationship with the recipient there are potential problems. The selling of organs by live donors is unacceptable. As for what the Bible has to say about organ transplantation, this is not immediately obvious. Perhaps Galatians 4:19 is a favourable text. Paul reminds the Galatians how when he had originally come to them, suffering from a disease (one that affected his eyes) they had been so concerned that, if possible, they would have plucked out their own eyes and given them to him. This is a figure of speech but Paul has no innate problem with the idea and this may be significant. Jesus’s figurative words about plucking out eyes and cutting off hands may also be relevant. Perhaps we can say the same for the fact that on becoming a Christian one is spiritually grafted into Christ’s body. Many a preacher, taking his cue from Scripture, has seized on the imagery of a heart transplant as a vivid picture of the change necessary in all our lives if we are to know eternal life. Perhaps the Lord’s example of laying down his life for sinners so that by his death we may know life, an act motivated by compassion and love, is the best light in which to consider this matter. Surely the Christian is to do good wherever he can – dead or alive. To draw out negative arguments is more difficult. There are prohibitions against being united to another person outside marriage but this clearly refers to sexual union. 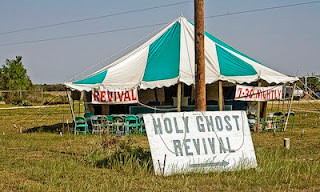 Some are troubled by the thought of their donation preserving a wicked sinner. The over-arching truth that it is better to save life than to kill is surely answer enough to that thought. The Good Samaritan shows us the way forward. Some may raise the question of how God can raise a body from death when it has been divided. But this problem extends to those who have lost organs or limbs in life, some dismembered and scattered at death, those cremated at death and indeed to those buried. A recent cartoon had a buried skeleton commenting on Alder Hey and saying ‘Scandalous!’ God is powerful and has no difficulty in re-assembling our bodies. Ezekiel 36 shows that! Even in life the atoms of our bodies are continually being replaced anyway. We must not be simplistic in our understanding of the resurrection either. Paul does speak of our resurrection bodies as being transformed so that they are imperishable, glorious, powerful and spiritual. Assuming that the human body is treated with appropriate dignity Christians should have no problem over the basic issue of organ donation. Most problems come further down the line and are to do with the fact that we live in an ungodly society. The whole matter of consent has been to the fore recently. Many would like to move from the position where organs should only be used by consent to one where unless you opt out permission will be assumed. Is that acceptable? Does the body simply belong to the community to do with as it sees fit? As for the high cost of organ transplants this must be weighed against the resultant decrease in medical expenses in other areas (eg dialysis machines). Another issue concerns definitions of death. Donations of major organs are often from patients who have been pronounced ‘brain stem dead’. Some individuals are put on a ventilator simply to help in the process of harvesting organs. Organs are sometimes removed before the ventilator keeping the patient breathing is switched off. As some would argue that ‘brain stem death’ is not necessarily death, there is room for caution. On the other hand, it is only fair to note that transplant teams work quite independently of those dealing with accidents or with other patients. The former are not normally notified until all lifesaving efforts have failed and death has been determined. The underlying problem in these areas and others is an understandable and widely held perception that the medical profession cannot always be trusted. If this is fair, it needs to be borne in mind when making decisions about organ donation or allowing our bodies to be used for medical research when we are gone. One other thing to be borne in mind in the latter case is that the usual funeral shortly after death is not possible. *The Alder Hey organs scandal involved the unauthorised removal, retention, and disposal of human tissue, including children's organs, during the period 1988 to 1995.